This is a high quality glass filter, coated on both sides or "double coated" as it is commonly referred to, made by Omega. 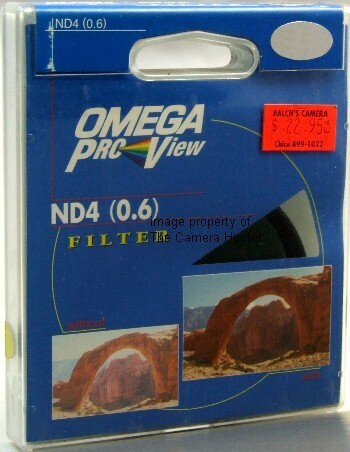 These filters are actually the made under contract by HOYA but labeled as Omega. 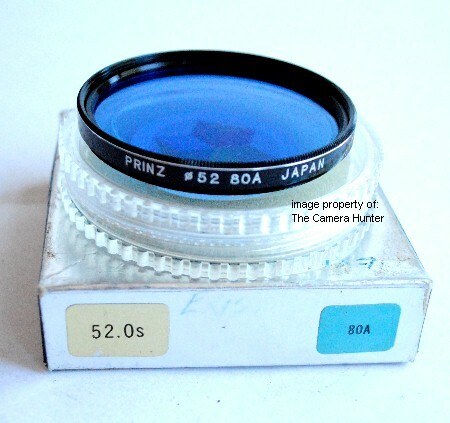 They are the same as the Blue label coated HOYA filters, made in JAPAN. The anti-reflective coating reduces surface reflections, allowing maximum light transmission. Reduces or eliminates the possibility of flare or unwanted reflections in your photographs. The filter ring is metal and threaded on both sides. As we all get further and further into the digital photography abyss we are loosing our focus. What is it we all want? Snapshots for the most part, really great photos of a memorable place, and once in a while something cool. Well the snapshots are easy, great photographs require a little bit of knowledge but it's mainly all about composition, and finally something cool. The cool shots require taking the camera off auto and taking some manual shots. The great thing about digital is you can check your work as you go. Here is the generic description used by all the retail stores to sell this filter. This description is fine if you have some understanding of photography. If not it doesn't mean much and is not very convincing, a shame. I like to explain things so everyone can understand it. What do you do when you go outside on a bright sunny day? OK, besides put on sunscreen, a hat maybe, ok, and shorts, ok, and flip flops, BUT how about on your EYES? Sunglasses perhaps? Of course you do and why? To see better. Same goes for the camera, it needs sunglasses. That is what this filter is, a sunglass lens. Now that you understand that you will see the benefits of this filter. Here's some example shots taken in the yard of some flowers. Now here's some examples taken on the street of cars, not that these are pictures you would want to remember but it's a good example of the possibilities. Now for something cool and memorable. We have all seen the real cool pictures of a waterfall where the water looks like heavenly mist. That is the most common use of the filter and here's my shot of the river running after a hard rain. I hope you have found this to be both entertaining and informative. 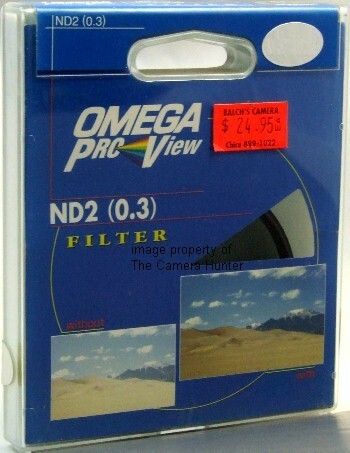 The filter is brand new as pictured, works for still photos or video. This light blue filter is use primarily as a color correcting "cooling" filter. The 80A filter will increase color temperature, correcting the yellow cast of tungsten lights to a natural appearance on daylight film. May also be used to correct the reddish-yellow light of late afternoon or early morning. Filter factor of 2.4=1 2/3 stop exposure adjustment. This light blue filter is used primarily as a color correcting "cooling" filter. The 80B filter will increase color temperature, correcting the slight yellow cast of Photoflood lamps to Daylight balance. May also be used outdoors to correct the yellow light found early morning or late afternoon. Filter Factor 2=1 stop exposure adjustment. This pale orange filter is used primarily as a color correcting "warming" filter. 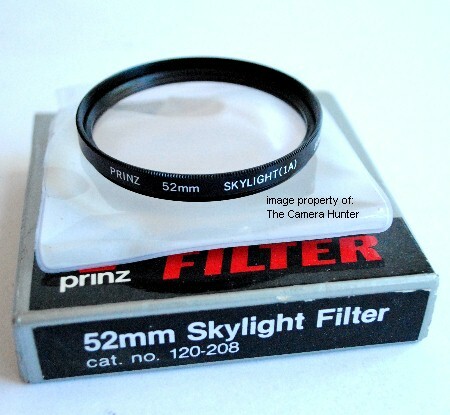 The 81A filter will decrease color temperature, correcting the blue cast found outdoors in overcast weather or in open shade of trees or buildings. Also corrects bluish cast of electronic flash exposure to produce more pleasing tones. May be used to increase overall warmth of a photograph. Filter factor of 1.4=1/2 stop exposure adjustment. 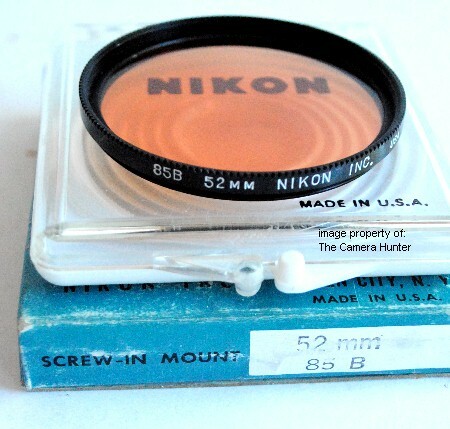 This pale orange filter is slightly stronger than the 81A and is used primarily as a color correcting "warming" filter. The 81B will decrease color temperature, correcting the blue cast found outdoors in overcast weather or in open heavy shade of trees or buildings. Filter factor of 1.4=1/2 stop exposure adjustment. This light magenta filter is used primarily to correct the greenish yellow cast produced by fluorescent daylight balanced lighting. With daylight rated film, this filter will reduce or eliminate the distinct cast caused by fluorescent lights. Filter factor of 2=1 stop exposure adjustment.